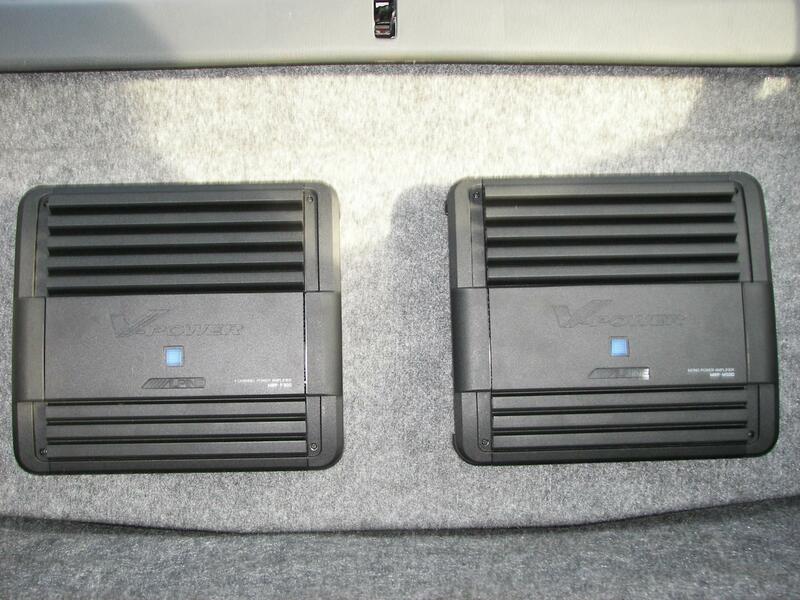 Well as many of you know I've been working on a new system in my 95 Civic Coupe. Are are some pics of the build so far. Let me know what ya think so far guys. Thanks. 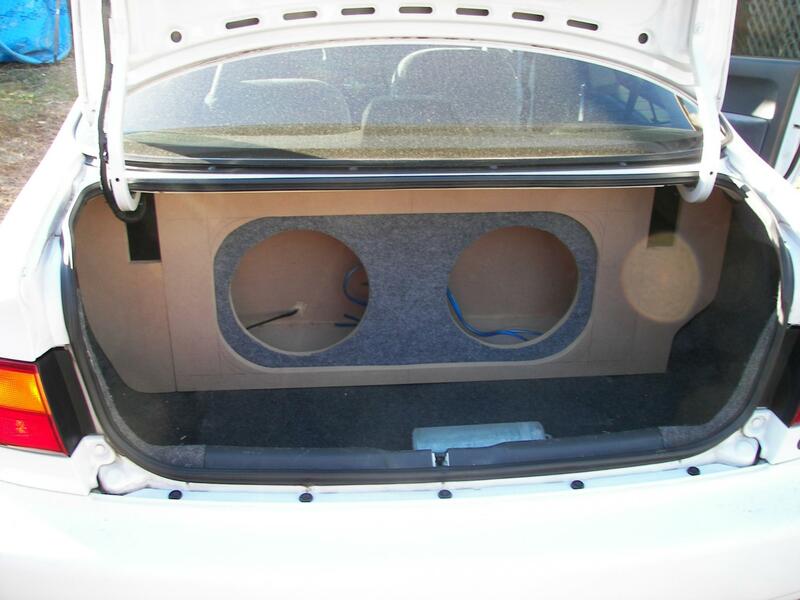 Very nice clean install. Man those bring back some memories. Worked in my buddies car stereo shop for a couple years during the busy summer months. How are you going to run those amp wires? 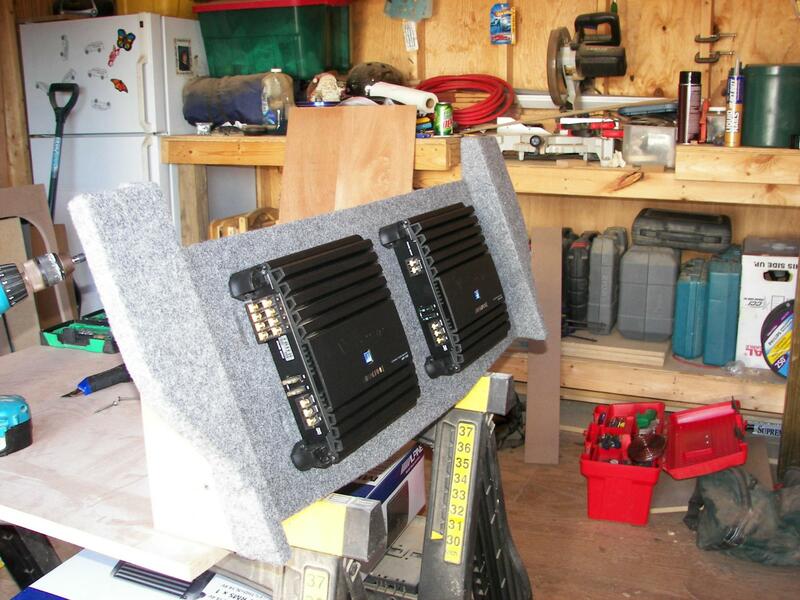 Send them thru the board or build a cap to go over the amps to hide all the wires. What kind of subs are you going to run? Just took my 9500's out my truck for the winter so I can take it to work without anyone braking in. Need the 4x4 with all the snow. Trying to debate with subs I'm going to go with this spring. Very nice install Rob. Excellent work for sure. Very tight man. Looks real sweet. I wish I had carpentry skills like that. If I was to attempt something like that it would look like a 4 year old did it. Finished my little project today. Tomorrow I'll fine tune it and post some pics of the finished product as well as my thoughts on how it sounds. Great work. 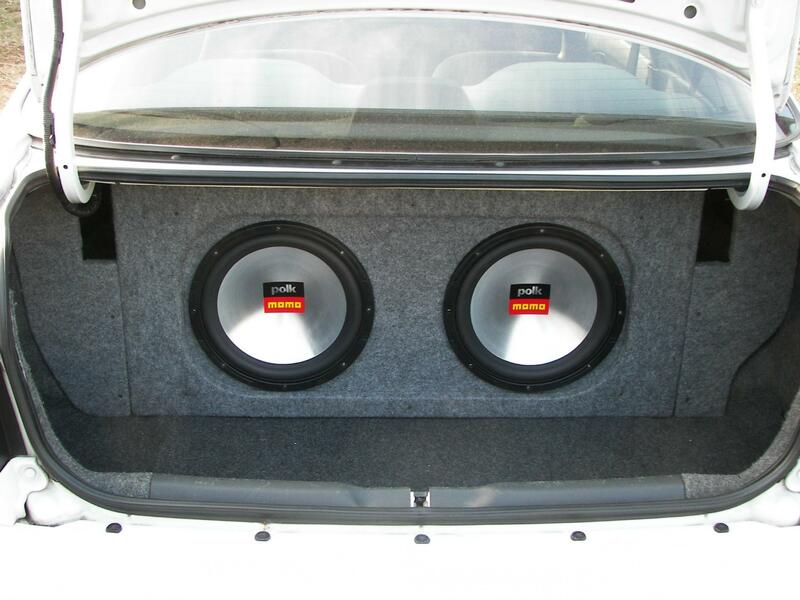 What subs are you going to drop in there? 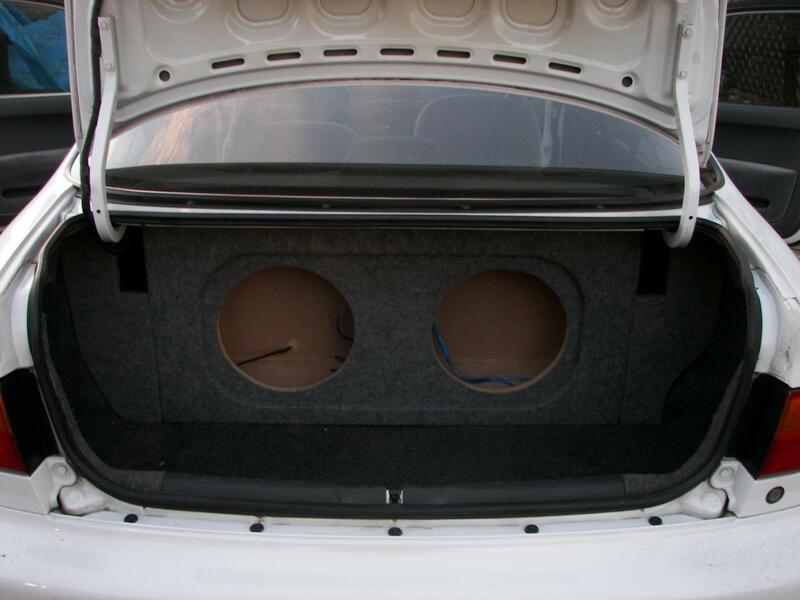 Don't you want the woofers facing inside the car and the amps in the trunk? 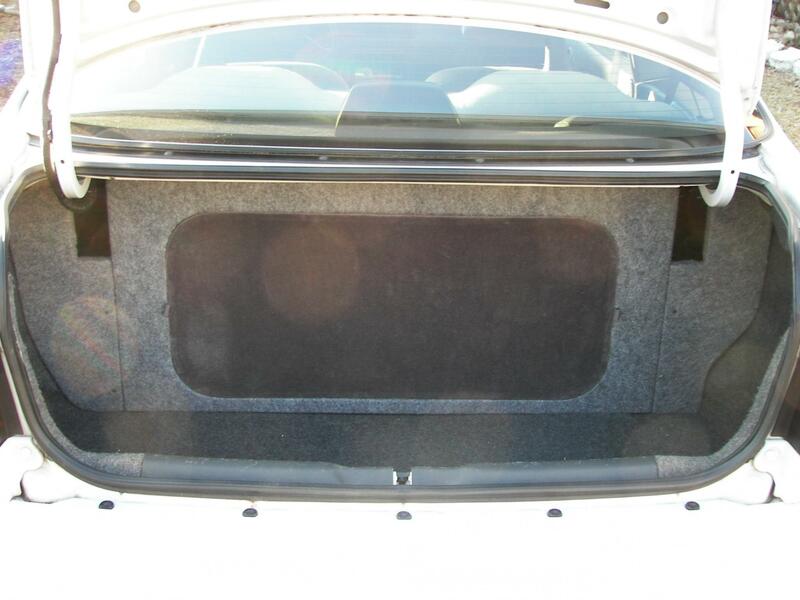 In a car trunk, it usually sounds better if the subs are facing towards the rear of the car. Well, here are some pics of the final project. It got just to damn cold to try and fine tune it any further but so far, very impressed with what I hear. Anyways, here are some pics. Still have to finish up the cover for the subs but as of now it's good as it stands. 1. 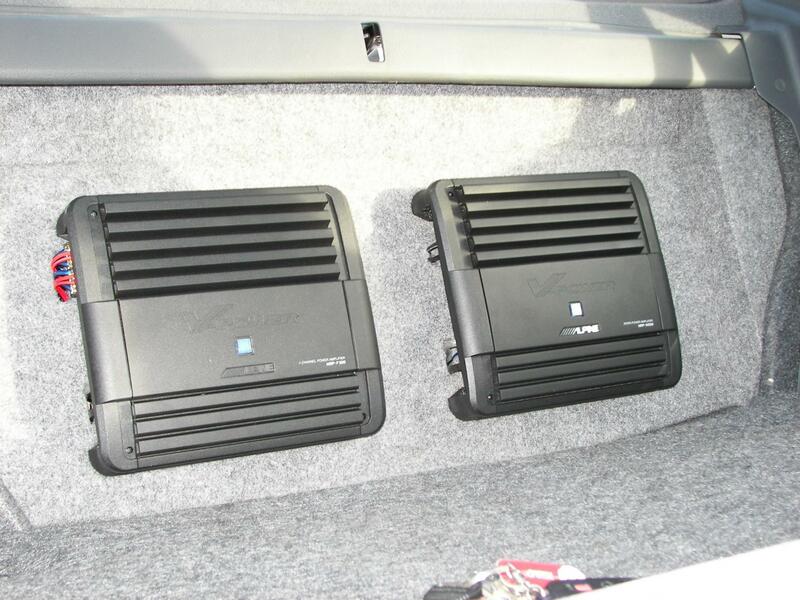 Change the color of the carpet where the subs are mounted to black, and keep your outside plate gray. But thats personal preference. 2. Use the same piece of carpet for all 3 pieces on the front. 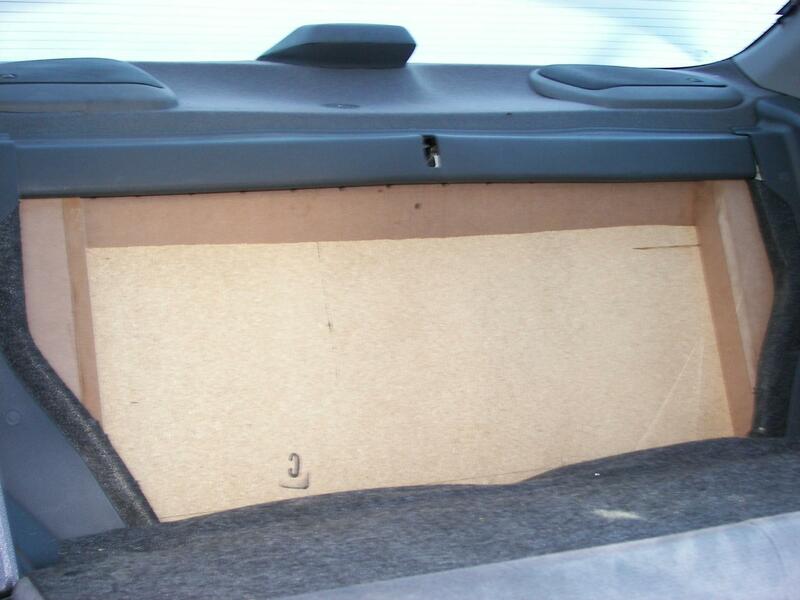 Just lay all 3 pieces together, carpet them, then when youre putting it in the vehicle, you can fold them in to get it in the trunk, then unfold them back to flush when you're done. 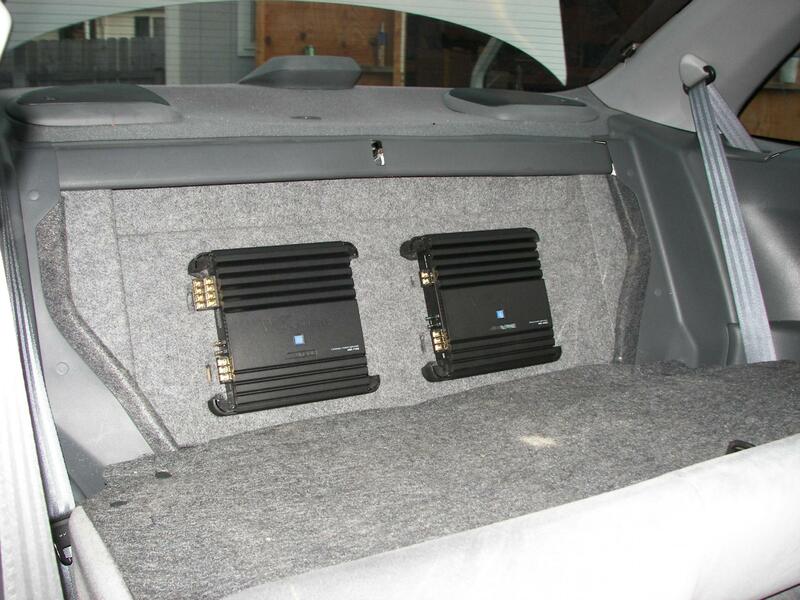 Makes for a seamless install. It really does look great though, hopefully it sounds as good as it looks! 1. I actually had planned on painting that area white and high glossing it but it was just to damn cold outside. Who knows, once it warms up I may still do it. 2. 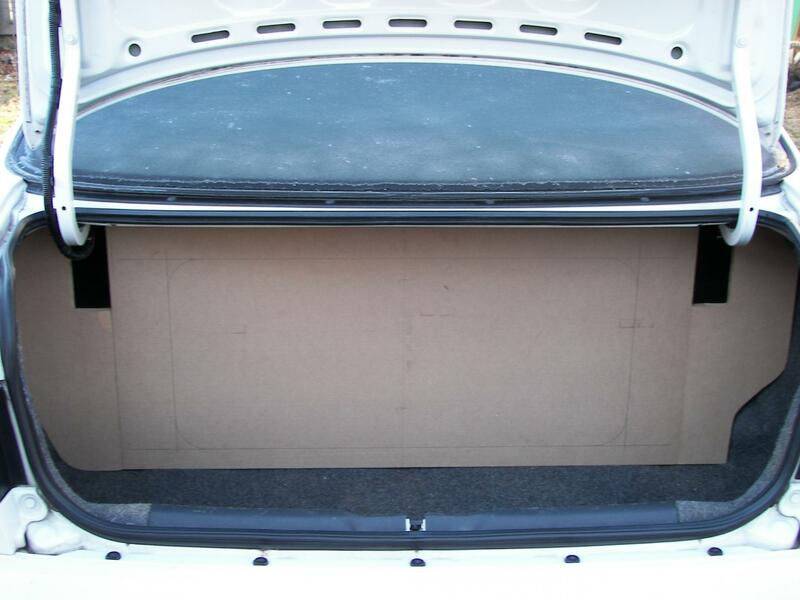 Weather provided, I should be redoing the trunk soon. 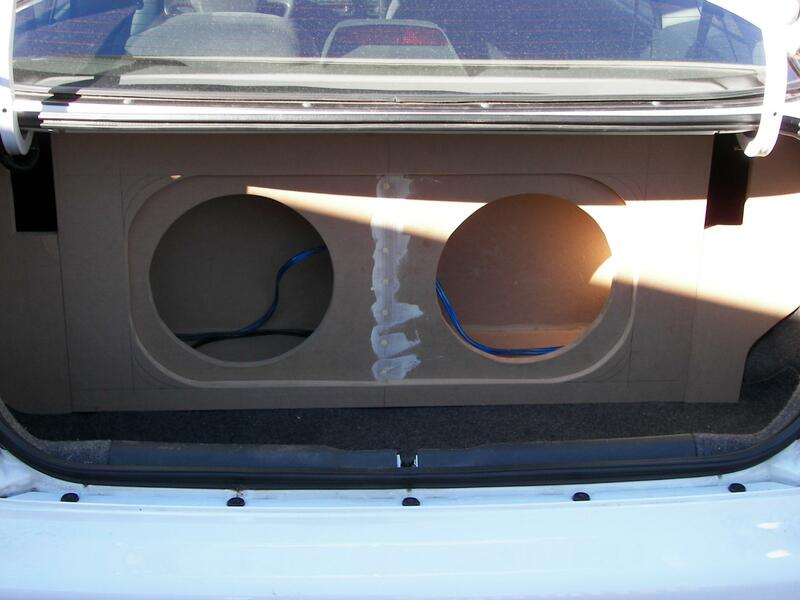 I want to redo the outer peice that way I can install a press on grill to hid the subs and/or make a whole new grill out of the 3/4" MDF that mounts on the outer peice of the subs that way the subs that sit flush with the outside peice have atleast 3/4" clearence so the subs won't be touching the grill cloth. If this makes any since what so ever, what would you suggest? Good job Grimster74. I need to bring my Benz up to VA and let you customize mine! Here is a pic with the grill on. Since Im putting in a new motor, I thought Id show some pics of the car. Its a 99 Conv. with a 302 stroker modular motor, with a 76mm turbo and a tko behind it. Sorry for bumping an old thread. This question may be pointless due to the fact that the thread was started over a year ago but here goes. 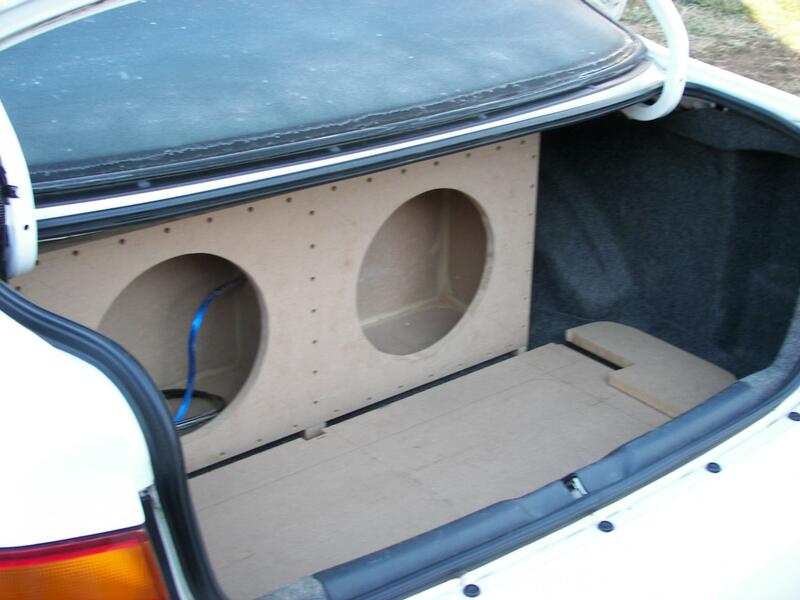 I'm currently building something very similar in my hatch. Just curious, what material is the grill made of? 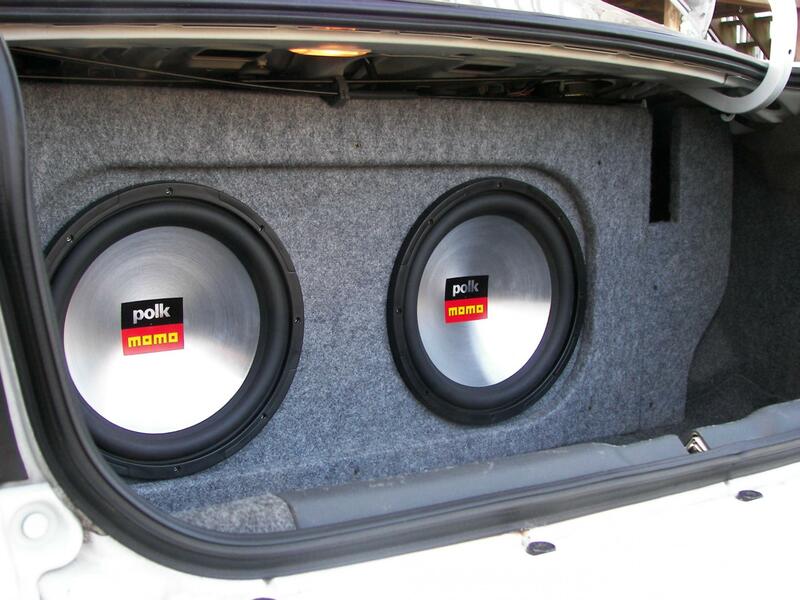 Nice, makes me miss the good old days when I had nothing better to do than cruise two with the bass thumpin. 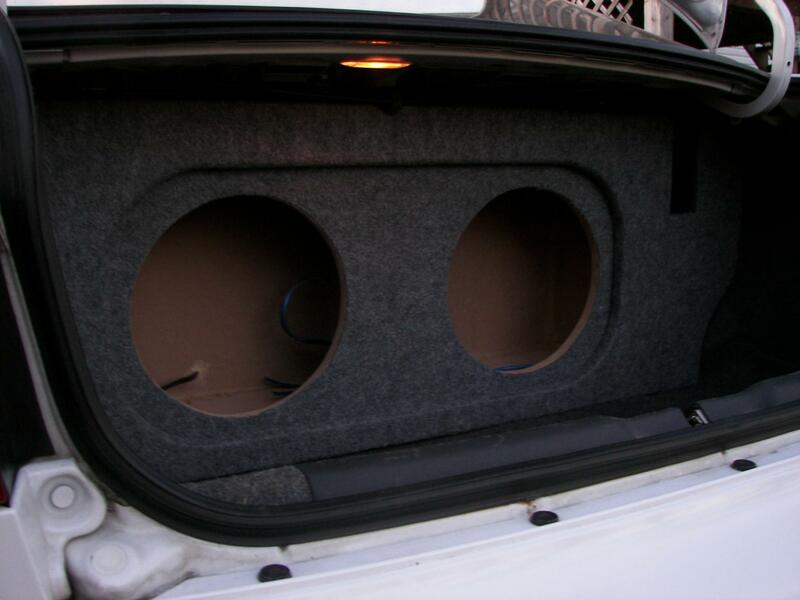 Used to have two 12's in a bandpass box that slammed. 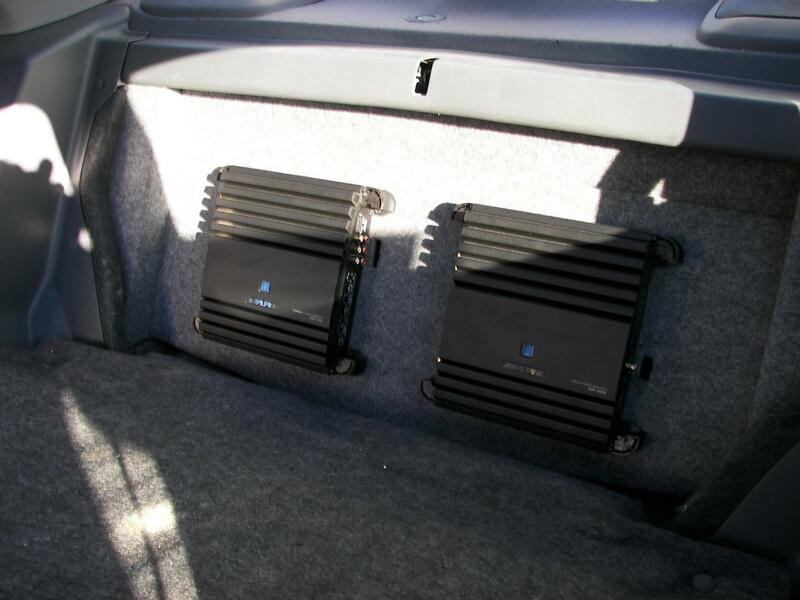 looks great - nice and clean install! Nice installation. Clean work too!